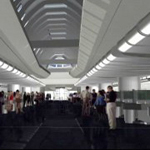 Our solutions are at work in airports and transportation facilities throughout the world. In 1993 The Bowman Group implemented the following Airport Management System modules at Little Rock: General Ledger and Financial Reporting, Lease and Properties Management, Tenant Billing, Accounts Receivable, Accounts Payable, Airport Statistics, Payroll, Human Resources, Fixed Assets and Project Cost. Recently, a new scope of work was completed which implemented the Inventory Control, Requisitions, Purchasing and Preventive Maintenance modules. Provided custom Financial Reports using Crystal Reports. Implementation and training on the Airport Management System commenced in December 1992 for all modules, with the exception of Flight Scheduling. Recently, The Bowman Group developed and implemented a Land Acquisition System to track activity for the Authority's Relocation Office. In addition, and interface was made to the Parking Revenue Control system to collect and analyze parking data by State and County for marketing purposes. In 1995 The Bowman Group implemented the Airport Management System General Ledger, Accounts Payable, Fixed Assets, Project Cost, Lease & Properties Management, Tenant Billing and Accounts Receivable modules. Provided custom Properties and Airport Statistics reporting using Cognos Business Intelligence tools. In 1998 The Bowman Group implemented the following Airport Management System modules for Palm Beach International Airport: Lease & Properties Management, Tenant Billing, Accounts Receivable, Airport Statistics and General Ledger. Provided custom Properties and Airport Statistics reporting using Cognos Business Intelligence tools and Crystal Reports. Integrated the system with Onbase Image Management System by Hyland Software. Currently integrating with the new Parking Revenue Control System. The Authority recently selected The Bowman Group to implement the Tenant Management, Procurement and Property, Plant & Equipment Clusters. The Server is configured and loaded. Implementation was initiated in January 2003. Provided custom Properties and Airport Statistics reporting using Cognos Business Intelligence Tools. 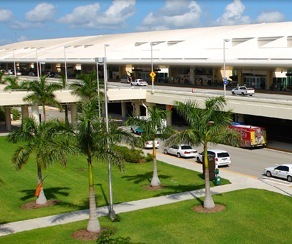 The implementation of the Airport Management System in Sarasota was initiated in June 1990. Lease & Properties Management, Airport Statistics, Tenant Billing, Accounts Receivable, Accounts Payable, Project Cost, Property, Plant & Equipment, and General Ledger are implemented. Recently installed and integrated Cognos Corporation business intelligence applications for data mining, ad hoc query, reporting, graphing and Internet publishing utilities. Development and implementation of the Airport Management System began in June 1987. All modules are in use. Assisted with integration of AMS with parking lot revenue control and access control systems. Provided a technical review of the Automated Vehicle Identification System Request for Proposal. The Airport Management System was installed in 1991 to assist with Lease & Properties Management, Tenant Billing, Airport Statistics and Accounts Receivable. These modules interface with the City’s existing accounting system. The Bowman Group implemented the Airport Management System at Sacramento in 1992. The Airport Management System installation effort consists of Lease & Properties Management, Tenant Billing and Accounts Receivable. The Bowman Group installed the Airport Management System Lease & Properties Management, Tenant Billing, Accounts Receivable, Airport Statistics, and General Ledger modules in 1995. General Ledger, Lease & Properties Management, Tenant Billing, Accounts Receivable, Revenue Projections and Airport Statistics were implemented in 1995 Bradford Bowman provided Technical Review of the Multiple User Flight and Baggage Information System Request for Proposal. Made recommendations on the form, organization and content of Asset Management files using industry best practices. Reconciled and reorganized disparate files. Constructed binders per recommendations. Developed and implemented an automated bar code file check out and check in system. The Bowman Group assisted the Department of Aviation to implement a Geographic Information System. AutoCAD, by AutoDesk, is installed on a Novell Local Area Network with high resolution, graphics workstations. Access to the LAN is provided from remote sites. Responsibilities included design of the GIS concept, digitizing the existing hard copy drawings followed by drawing file-editing assistance. Further, an interface was programmed between the existing Properties Management System and the new Geographic Information System. This interface allows data interchange as well as the ability to "hot key" from GIS facilities display to the appropriate parcel information display and vice versa. The Bowman Group's assisted with the Airport Management System Lease & Properties Management, Tenant Billing, and Accounts, Receivable and Airport Statistics modules. Additionally, an interface with Airport Noise and Operations Monitoring System (ANOMS) has been developed to track airline activity. The interface was designed to facilitate more accurate billing to airlines. All systems have been paralleled and reconciled and are awaiting approval for implementation into the Production environment. The Bowman Group assisted with the implementation of the Airport Management System Tenant Management Cluster with interface to an Automated Vehicle Identification system in addition to development of a Utility Billing System. • National Academy of Sciences; Transportation Research Board; Airport Cooperative Research Panel; Airport Information Technology Integration 2008.